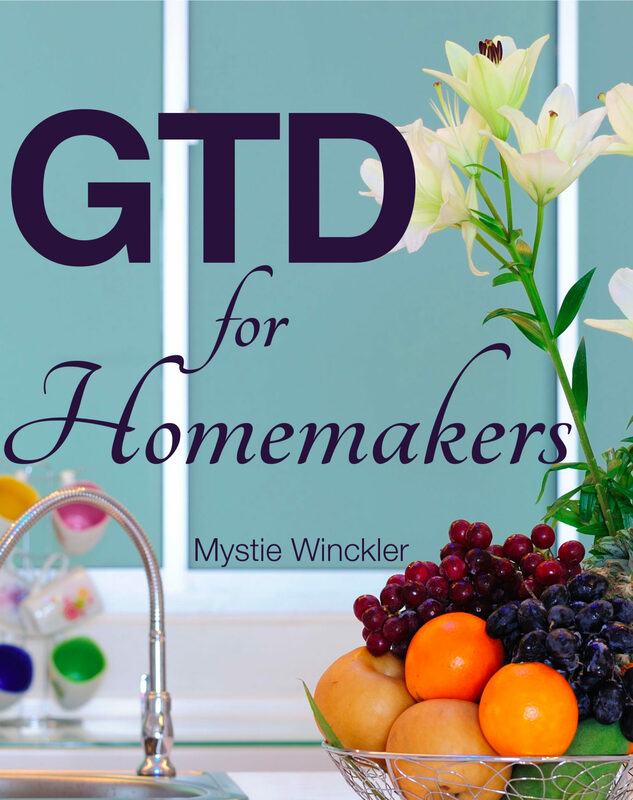 This series, 31 Days to GTD for Homemakers, is all about putting into place effective routines and processes so that the routine administrative details of life do not cause unnecessary stress and we, as mothers in the heart of our homes, can peacefully and intentionally make good choices about what to do without feeling like we have a million details pulling us in a million directions at once. Another helpful type of list to keep is a set of agendas. Keep a running list of things to talk about with your friend next time you see her, items of business to bring up at the next ladies’ meeting, topics you want to discuss with your husband, etc. If you’re not much of a conversationalist, you might even keep a list of topics of conversation to get you through a social function. Yes, I do happen to be that pathetic, thank-you-very-much. I have also started (though not yet maintained or incorporated well) an agenda list for our homeschooling morning meeting: Circle Time. I have found that a conversation with all the kids after we’ve all prayed together and just before we all sing together does wonders for keeping us all on the same team. Instead of only dealing with problems when they come up, I can address them while we’re all in fellowship and the children are much more receptive. Also, I am much more effective in the way I communicate in this context rather than in a discipline, heat-of-the-moment exchange. Usually we review “how to respond when Mommy calls or commands” (with practice! ), “the difference between a whiny request and a cheerful one,” or “how we behave at the store.” I always think of these things at times other than Circle Time, of course, and I need them written down to remind myself as well as the children. Managers and CEOs might have more in this category, which is intended to keep track of tasks and projects you have delegated to other people. Perhaps as children get older I will have more on such lists. For now, the only things I could think of that fell into this category at home is a “honey do” list and a list of items and books I have loaned. My husband keeps his to-do list on Asana.com, so I either add any honey-do task in there or email him. He uses a gmail label “to do” in his inbox and is good with follow-through, so I don’t really track things after I send a ball to his way. I definitely need to be better about keeping track of loaned items, though! I have a place to do so, I am just bad about keeping it up to date. In Evernote I have a “Loaned Out” note that theoretically lists what I’ve loaned out to who, but in actuality is empty. Cough And, come to think of it, I should create a “Borrowing” list, as well. Look both at what sorts of delegated tasks come up in your life and what sorts of systems you already have in place, and work a way to keep track of what you are waiting on so things don’t fall through the cracks or wake you up with worry in the middle of the night. I’ve been on vacation so I need to back up a few posts…can’t wait to get caught up! I’ve really learned a lot so far.